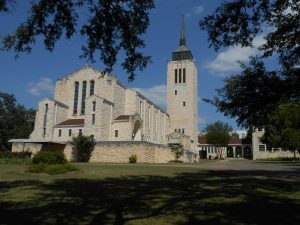 St. Paul Lutheran Church is situated on six acres in central Austin. We are just a few blocks away from The University of Texas. We are easily accessible from Interstate 35. Our building was constructed from Austin cutstone from Texas Quarry at Leander. The stone was all hand-cut and hand-trimmed at the building site. The high ceilings and long center aisle of our sanctuary honor the majesty of God. 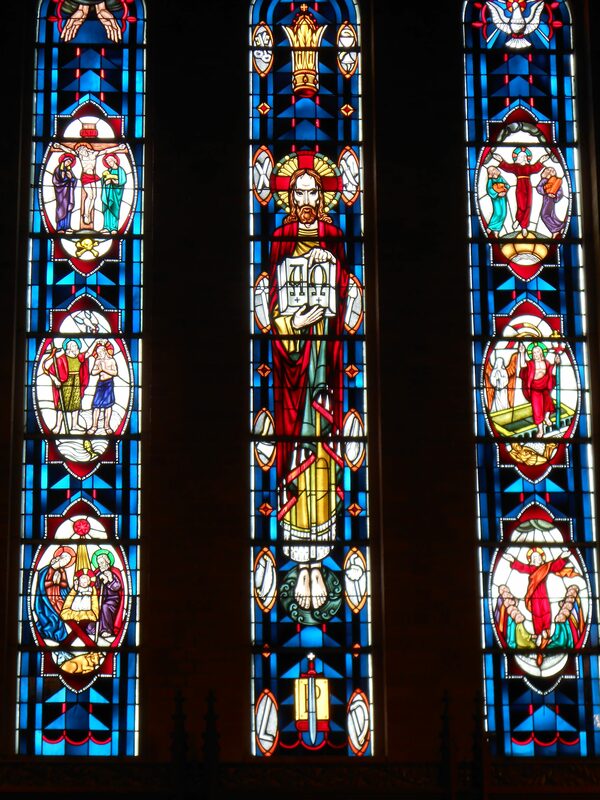 Our beautiful stained-glass windows were made by artisans in Cologne, Germany. 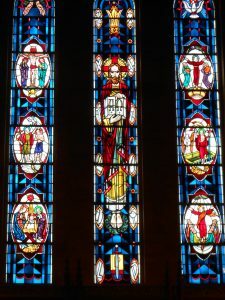 Each window is based on a Biblical text, and contains significant symbolism to proclaim the Good News of Jesus Christ to all worshipers. To assist the worship of all who enter here. To proclaim the message of God’s plan of salvation – Christ, the Alpha and the Omega. To point to the mission of the Christian Church and every Christian. To remind all who leave here to prepare to meet Christ who is coming soon.